Learn more about the multiple health benefits of berries and why these super fruits shouldn’t be left out of your diet! They come in different sizes and beautiful colors, packed with amazing taste and are so yummy that even kids think of them as treats. But, these powerful fruits are super charged with multiple agents that are amazing for you. We’ve summed up all those great health benefits of berries just to give you an understanding of why you can’t miss them. You have probably heard about superfoods, antioxidants, eating organic and healthy, and all those topics that are part of the healthy bandwagon that has been all the hype in recent years. What you may not know is everything about the health benefits of blueberries, raspberries, strawberries and blackberries (just to name a few) and why medical research considers these delicious fruits nutritional powerhouses. 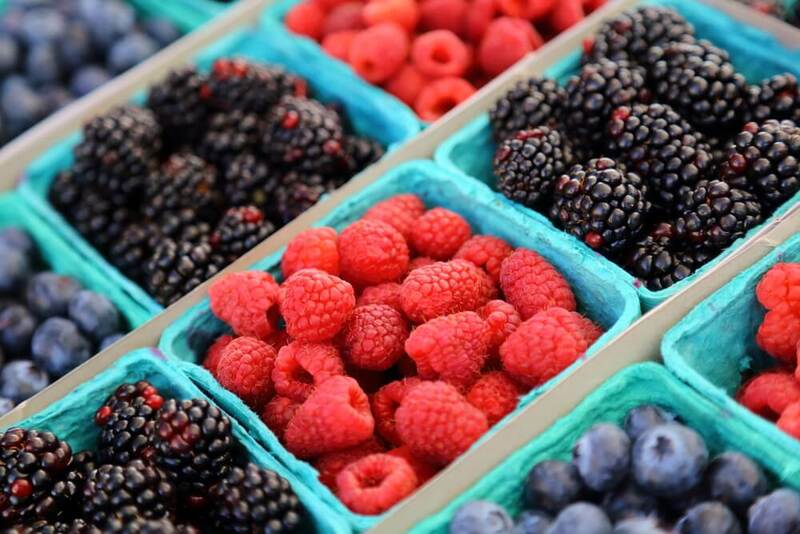 There are a number of benefits of berries for skin, our blood, our cardiovascular system, and even our brain. The nutritional value of these tasty treats is not only wide, but also complex enough to provide support to every single part of our body and system. For example, the health benefits of blueberries include being packed with specific antioxidants that help keep our memory sharp as we age, while raspberries contain a compound that has anti-cancer properties. In addition, the benefits of berries for skin come from their particularity of being able to reduce skin wrinkling, fight off inflammation, protect the skin from loss of collagen and even help repair sun-damaged spots. And while all these health benefits of berries are great and seem specific, truth is that scientific researchers call them powerhouses with a reason. They truly do work all around our system in many different ways, maintaining, improving, repairing and supporting the different functions that are normal to our wellbeing. They contain a great amount of vitamins C, K1 and Magnesium and they have proven to have a significant impact on protecting against oxidation, a prominent cause of cardiovascular diseases. These amazing treats have an exceptional polyphenol count, considered to be higher than any other fruit or vegetable, and are packed with fiber and heart-healthy fats, while also do a great job of protecting our bodies from free radicals. Containing Magnesium, Folic Acid and Vitamin K, these tasty little buds are great in reducing blood pressure and improving endothelial function. With a combination of sweet and tart flavor, these are high in flavonoids that are considered to be powerful anti-viral treatments and fight off influenza. These little red fruits may be small, but are greatly beneficial as they help reduce the risk of suffering from metabolic disease, and are amazing in the control and management of diabetes. Probably the most common of all berries, these have anti-hypertensive properties, are packed with antioxidants and are very high in fiber and Vitamin C.
These pitted berries are one of the most beneficial since they promote good cell and tissue health, have shown to reduce joint and muscle pain and contain melatonin, which an important natural chemical related to our sleeping pattern. These definitely work from the inside out, because they are packed in compounds that protect the lining of blood vessels, increases our night visibility, protects the eyes, and promote better blood flow in our circulatory vessels. And these are just some of the health benefits of berries that really make them a treat you should not skip. In addition to these, are many other varieties available that also come with their added bonus of beneficial factors for your whole body.